It’s winter now and my hands gets a little bit dry and requires a little bit of moisturising. 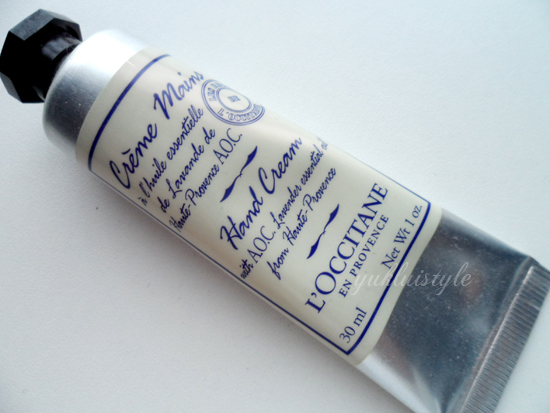 This is a light, fast absorbing hand cream and leaves the right amount of lavender scent. It isn’t as strong as those lavender pillows yet not weak. The smell is quite calming and relaxing, the advantage of lavendar. Smell lasts for hours. With it’s fast aborbing properties, it leaves my hand soft and supple without the greasy feeling. Sometimes I’ll have to apply more than once in the day especially when I travel but this is travel size so you can fit it into your bag. Since this is a light formula, it is also great to use in the summer. This is a great product and I would purchase the large one when this runs out. Or I could purchase other travel size ones but in a different scent. The packaging allows you to control how much and the screw top cap is a lot better than flip caps. Don’t need to worry about the product randomly bursting in your bag. My aunty gave me this as a gift from Hong Kong, the packaging has changed since then as you will see on the website. 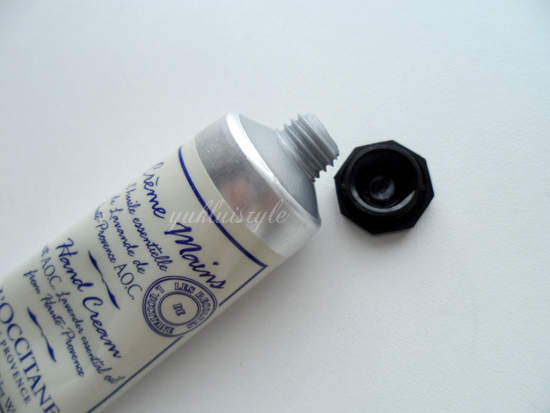 For those who have dry to extra dry skin, the shea butter version of this is the one for you. The ingredient shea butter works great for people who have dry to really dry/dehydrated skin. Hi there! I'm at work browsing your blog from my new apple iphone! Just wanted to say I love reading your blog and look forward to all your posts! Keep up the superb work!